We had Dr Grant for both of our pregancies and had wonderful experiences each time. Whenever we had questions regarding the pregnancy or delivery, Julie was able to provide honest, practical answers in a personable way (which was exactly the type of relationship we wanted!). We felt very comfortable asking any questions that included everything from travelling overseas to strange niggles I was having that she was able to easily explain. Brad (my husband) always felt very included in the conversations and the process. He always came up with the technical questions (which I continually forgot about) and Julie always answered them fully. Our first pregnancy, Julie was able to guide us in what was happening, our options and what were the potential outcomes (since we were novices!). She guided us through the labour perfectly and we got one very healthy, happy daughter. Our second pregnancy was a little different, this time round we were expecting twins! Julie was fantastic in explaining the type of twins they were, the various types of delivery options and the likelihood of each occurring as the pregnancy progressed (among a million other questions we had). She was very supportive throughout, providing good detail regarding the increased monitoring that was required. Julie got us an uncomplicated delivery and wonderful little boy and girl. 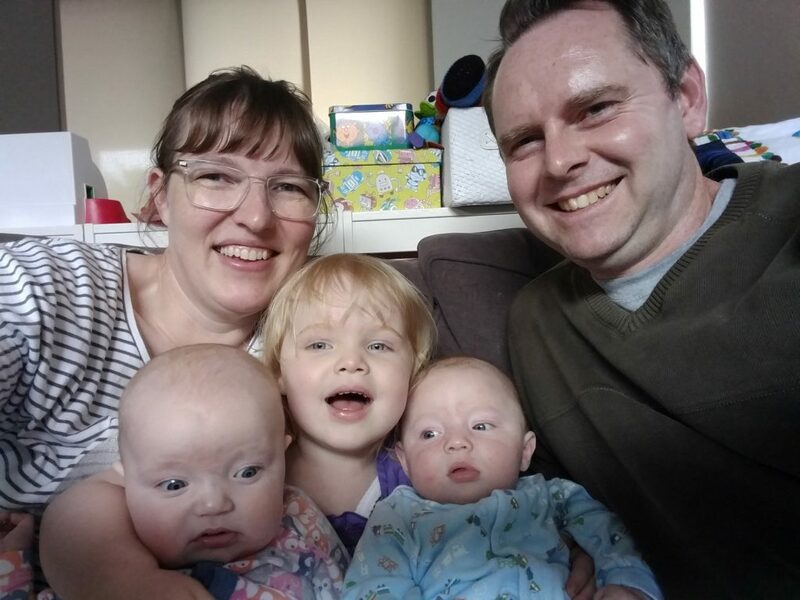 With both pregancies, her support to us before, during and after the deliveries has been greatly appreciated and has given us three wonderful children. The wonderful, incomparable Dr Julie Grant supported our family—initially to become pregnant, then through our pregnancies, and the births of our three children. We feel very fortunate to have had Dr Grant in our corner. Her professional approach fuses her significant knowledge, skills and wealth of experience, with empathy, generosity and warmth. While some might consider ours an unconventional family, we always felt accepted, supported and understood by Dr Grant. At 27 weeks pregnant with my first child I was diagnosed with preeclampsia. I was admitted to hospital within days of the diagnosis. Just over three weeks later, at 30 weeks and 4 days, I gave birth to my beautiful daughter Auburn Rose. She weighed just 1.13kg. After 37 nights in the WCH Nursery, my husband and I brought home a perfectly healthy baby girl who continues to go from strength to strength. Your ongoing support was not only incredible throughout my pregnancy but also during my battles with endometriosis prior to falling pregnant. As a result, I feel absolutely privileged to be a patient of Julie’s. My gynaecological-related issues have not only been physically challenging but emotionally challenging. So to have medical support from a doctor whom I trust wholeheartedly was the best thing I could have hoped for. My husband and I will be forever grateful to you for lengths she went to. You ensured the safest possible arrival for our baby girl and my own health pre to post pregnancy. Pregnancy and child birth can be one of those times in your life that conjure up all kinds of emotions from happiness to fear, frustration to joy. When my wife was diagnosed with preeclampsia we thought that this was going to be an extremely difficult time in our lives. However, with the exceptional service, support and guidance by Julie, we were able to sleep easy at night. We knew that we had someone watching, monitoring and evaluating us every step of the way. Julie's expertise ensured my wife and unborn baby were always safe and healthy. As a result we now have the family we've always dreamed of. Thank you for all your help & support during my pregnancy & delivering our healthy baby girl. Thank you for all your support during and care during our pregnancy, birth, hospital stay and follow-ups. I was a wonderful experience and you made us feel comfortable and confident with it at all times.